As Storyline pedagogy travelled the world it became clear that there was a need for practitioners to meet together to share their experiences, compare notes and keep in touch with new ideas and developments in the countries where the approach was being adopted and adapted. It was at a Storyline workshop held in Akureyri in Iceland in 1987 that the idea of setting up the European Association for Educational Design was suggested by Jos Letschert of the Netherlands. It was agreed that a group of educators interested in the Storyline approach to teaching and learning should be invited to attend a seminar hosted by Jos at the SLO Centre for Curriculum Development in the Netherlands. Twelve people attended representing Scotland, Denmark, Iceland and the Netherlands. The seminar was named ‘Golden Circle’ in honour of the famous tourist route in Iceland. Seminars began in 1989. Since then seminars have been held at eighteen month intervals, each hosted by a different country. To support the development of the Storyline Approach in a critical and innovative way by sharing on-going research, resources, curriculum development and applications of the method. The Golden Circle is a non-competitive forum for enquiry into theory and practice to promote professionalism and friendship. By the time the 16th seminar was held in Portland, Oregon, USA it was clear that Storyline had travelled far beyond Europe so the organisation was renamed Storyline International but the Golden Circle was retained as a fitting title for the international group of educators leading Storyline development in their home countries.The 18th Golden Circle Seminar was held in Hveragerdi, Iceland in August 2012. Forty five participants representing fifteen countries took part. Steve Bell has chaired this forum since its inception but at the recent meeting in Iceland he retired in favour of a new form of administrative structure designed by Cecilie Falkenberg. This suggested a democratic vote by members to appoint a Board of Management with each officer serving for three years. 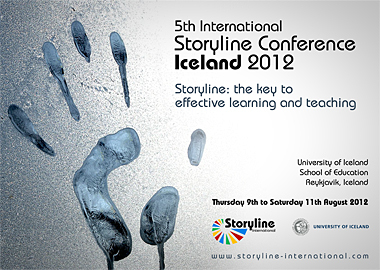 Jeff Creswell of Storyline Design, USA, is the new chairman, with Gudmundur Kristmundsson, University of Iceland, Vice Chairman and Lea Nakrst of Slovenia, but working in Sweden, as a Board member. Sallie Harkness and Steve Bell of Storyline Scotland will serve on the Board in an ex officio capacity. 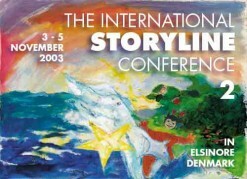 At the Golden Circle Seminar of 1998 held in Enschede in the Netherlands it was proposed that there should be an International Storyline Conference to celebrate the Millennium. 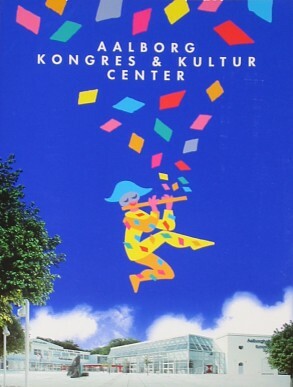 This took place in Aalborg in Denmark and was followed in 2003 by a second conference in Elsinore. Both of the Danish conferences were organised by Cecilie Falkenberg with the blessing of Danmarks Laerer Hojskole. 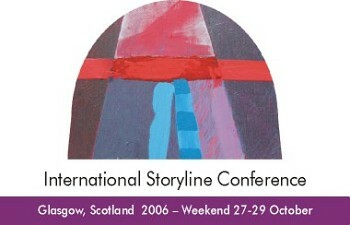 Steve Bell and Sallie Harkness welcomed delegates to the 2006 conference which was held in Glasgow, Scotland, with support from the University of Strathclyde and the Arts Council of Scotland. 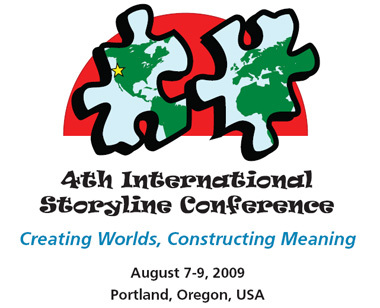 The 2009 conference was hosted by Jeff Creswell of Storyline Design in cooperation with Portland State University, Oregon, USA. The 2012 conference in Reykjavik, Iceland was organised by a team led by Gudmundur Kristmundsson and Bjorg Eiriksdottir with support from the University of Iceland. 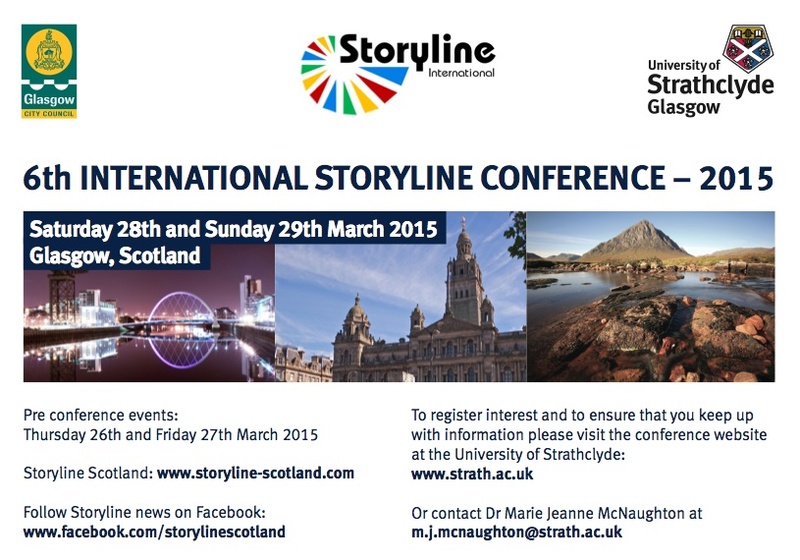 At present plans are being made for the next conference which will return to Glasgow in March 2015.